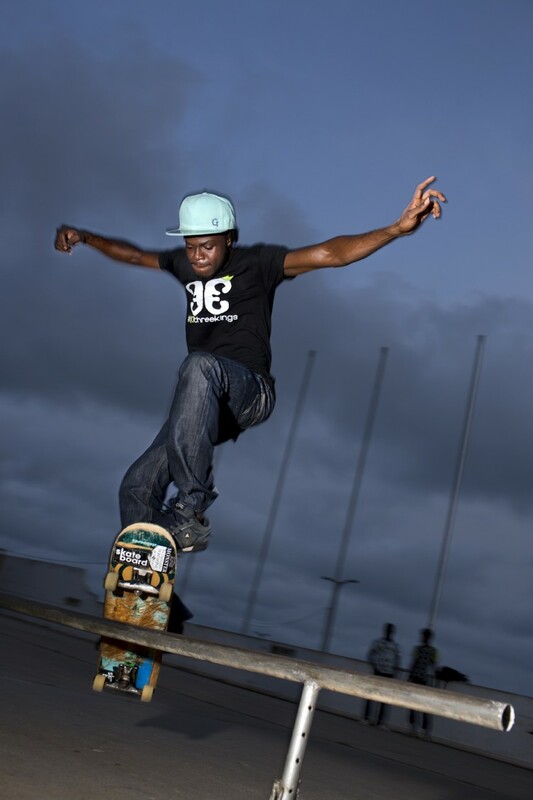 The skateboarders of Accra usually skate along the abandoned car parks in La, on the coast beyond Osu, to the east of the city centre. It’s a vast stretch of land made up of pavilions where traders from most parts of Africa and other continents sell their goods. 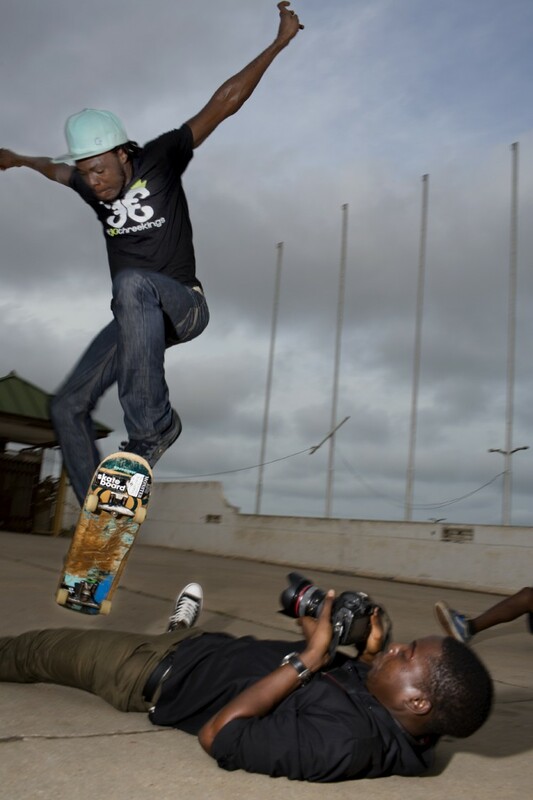 We talked to Joshua, who mostly skateboards with a group of friends, about the scene in Accra. 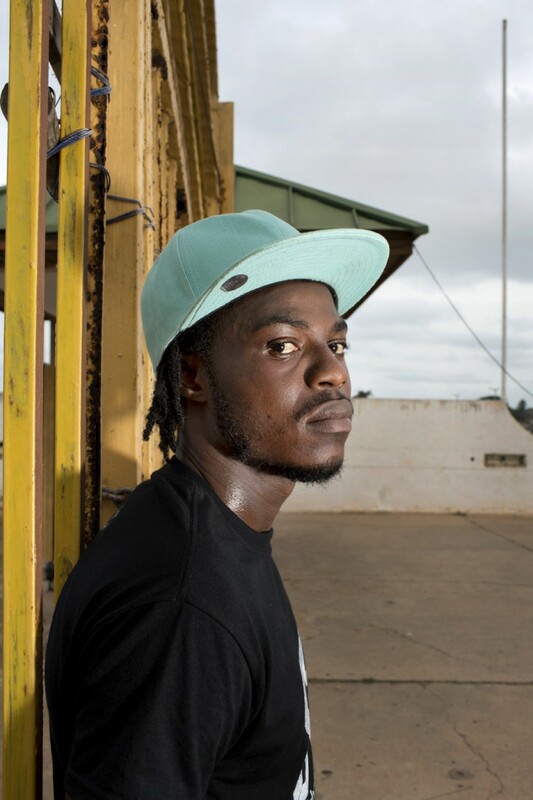 It seems to be pretty niche and what you might consider the basics – skateboards, skate shops, skate parks and skaters – are in short supply. 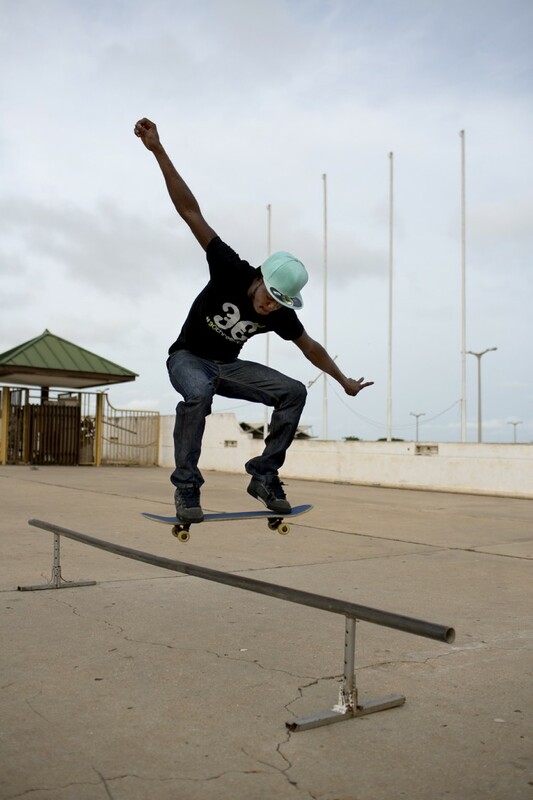 ‘Skating in Accra is fun but somehow difficult, because there are few good places to skate,’ Josh admits. 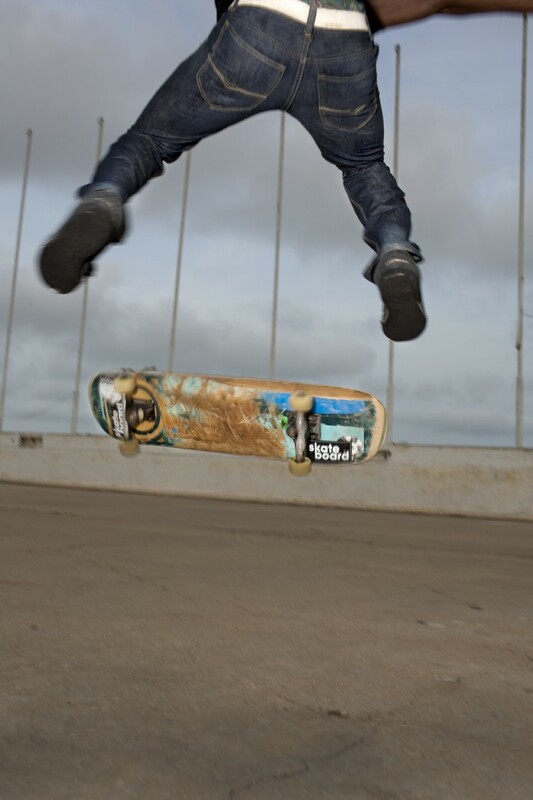 But he knows it just means that skaterboarders have to be even more resourceful and passionate if they want to ride. But you can see that for him it isn’t about the fame or the glory; it’s about the thrill. And it’s about the reality of worrying if he’ll always find a new set of wheels. Catch Thirty Three Kings on Twitter @30threekings.